Laura LeBoutillier is quite simply an emerging force in the field of gardening. She started Garden Answer in 2014, a YouTube how-to gardening vlog filled with style, expertise and helpful gardening knowledge. From the time she was a child, Laura was surrounded by her Ontario, Oregon family garden and family business, Andrew’s Seed Co. Today, she attracts over 100,000 YouTube channel subscribers and has generated over 25 million views of her YouTube gardening videos. Garden Answer has 2.2 million follwers and over 450 million video views. She has become quite the sensation in just a short period of time, and these numbers are continually growing! Take advantage of this opportunity to share Garden Answer videos with your customers. 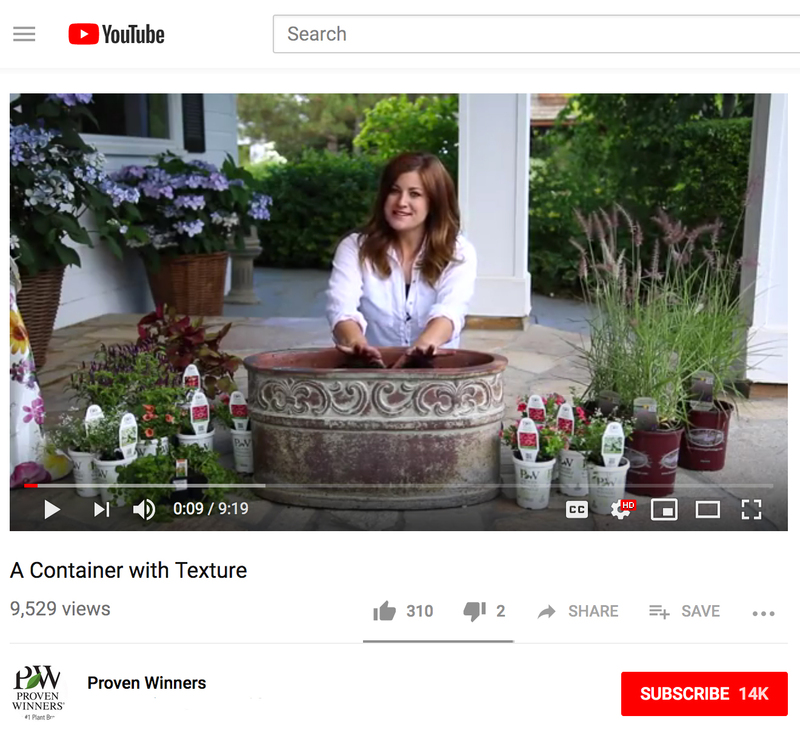 Each year Garden Answer creates many videos featuring Proven Winners plants. How To Baby Your Begonias, Indoors! An Elegant Container for Fall, or Anytime! Time To Trim Your Supertunias! June 27, 2018 Add a touch of Moonlight! Fill A Large Area with Tangerine Slice A-Peel Thunbergia and Rockin’ Deep Purple Salvia! Take a screen grab of the video and link the image or embed the video using the YouTube instructions here.